Spring is here! It's a nice 80- something degrees today and although our trees are still bland, flowers are coming our way. As I was prepping for a friend's birthday, I decided to utilize my excessive tissue paper and use nature as an inspiration for adding something extra to her gift. It's amazing how simple and easy it is to make something that would be costly at the store. 1. 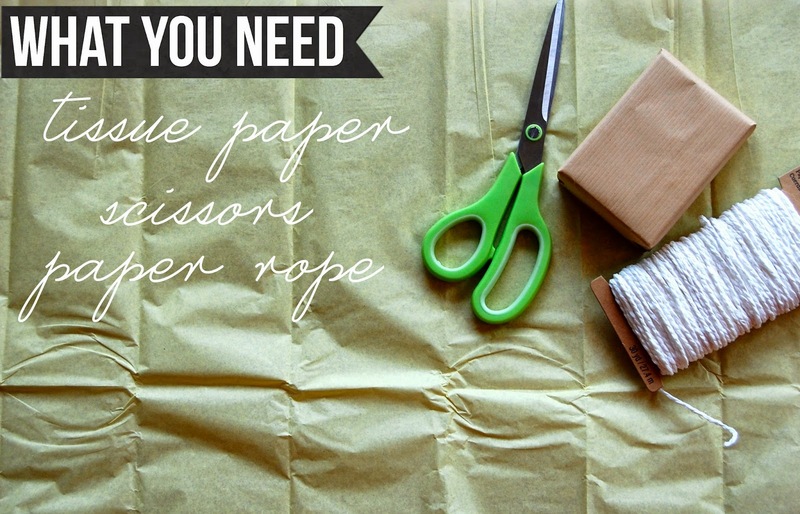 Cut paper in long strands, and lay them on top of each other. 2. Measure about an index-finger's worth of paper. 3. Cut into squares and try to keep the paper in line. 4. 1 sheet = 6 flowers. 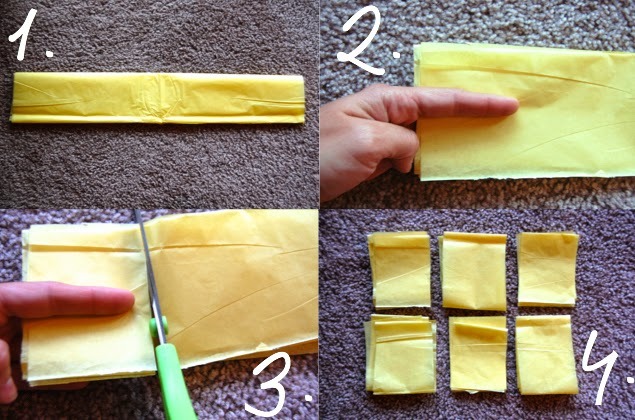 Use scissors to round out the edges of both sides. When you open the tissue paper, it should resemble a fan. 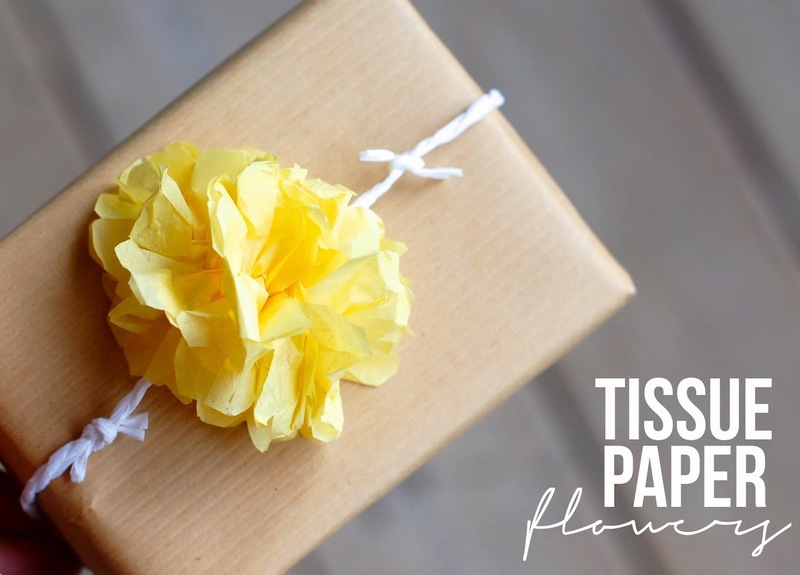 Pull the pieces of tissue paper apart (& away) from each other.